In the top photo, Shannon's expressive face can not help but show her love for Jordie. 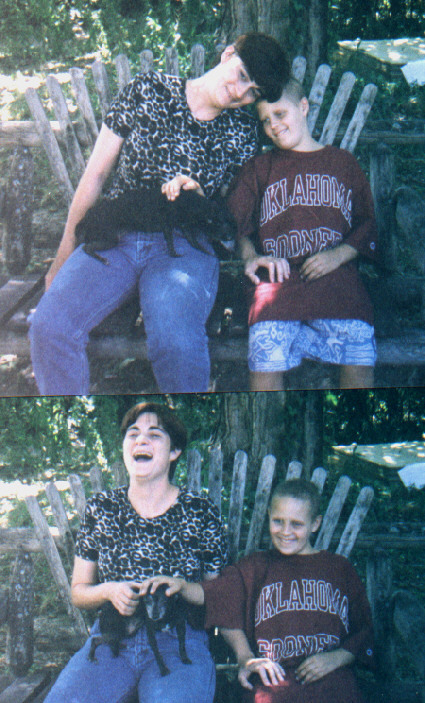 Shannon says, "This is from Summer of 1998, when Tim and I went up to visit Rokeby. Note the Sooners shirt! Be sure to scroll down and see the second picture wherein, to me, that face expresses her complete joy in life at the moment.